Dunedin, Florida is found in Pinellas County close to Tampa. The city has a population of nearly 36,000 residents and its home to many area beaches, which bring visitors to the area year-round. Dunedin is also the home for spring training and a class-A baseball team. Pinellas County has a population of over 910,000 people and includes Dunedin, St. Petersburg and Clearwater. The population of the county is a part of the Tampa Metro area, as well. With the beaches and the close proximity to Tampa, the Dunedin area ends up with plenty of visitors. These visitors bring along their own driving styles and they often don't know the roads very well. This can make driving in Dunedin very dangerous. Both Interstate 4 and Interstate 75 run near the Dunedin area. I-4 is known as the 3rd most deadly highway in the United States, in regards to the stretch found in Florida. I-75 is another very dangerous highway found at the top of the most deadly highway list. Tampa is the second most deadly city in the United States when it comes to pedestrians involved in traffic accidents. Traffic accidents in Dunedin and Pinellas County are on the rise. After considering the statistics, it's clear why the law enforcement officials in Dunedin monitor the traffic. It would be far worse if they didn't. 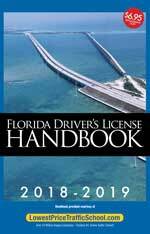 Just over 64,000 traffic tickets were issued in Pinellas County for 015. Out of those tickets, nearly 19,000 were for speeding with another 12,590 for careless driving. Only 6% of the tickets issued in Pinellas County were dismissed by a judge, so the chances of getting your ticket dismissed are very slim. It doesn't take many points to end up with a license suspension, which will not only cost you in reinstated fees, but also higher insurance rates. Protecting your license is very important. A suspended license means you have to find a ride to and from where you need to go. If you get caught driving in Dunedin with a suspended license you may face up to $500 in fines and 90 days in jail. The best way to protect your Dunedin driver's license is to obey the traffic laws. However, if you do get a ticket for speeding or any other offense, you can use the basic driver improvement course to keep the points off your license. This class is offered through the online traffic school and allows you to keep your insurance rates from going up, as well. 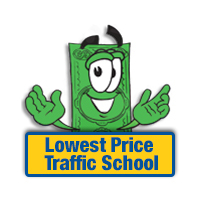 It's a simple process in which you pay your ticket, enroll in traffic school, complete the course and turn in your certificate of completion. You can take the course right on your computer at home and work at your own pace, too. You're eligible for traffic school if you haven't taken the course in the past 12 months or a total of 5 times in your lifetime. If you just received your first ticket, this is the perfect time to use traffic school to keep the points off your license. You can check your eligibility with the clerk of the court. All information about traffic tickets in Pinellas County, along with payments are handled by the Clerk of the Court. You will need to inform the clerk of the court that you plan to enroll in traffic school when you pay your ticket. For more information about the Pinellas County Clerk of the Court, you can visit their website.